March 3, 2019 6 – 9:30 p.m.
Come enjoy a party 'international' style. There will be music, karaoke, dancing and most importantly food! 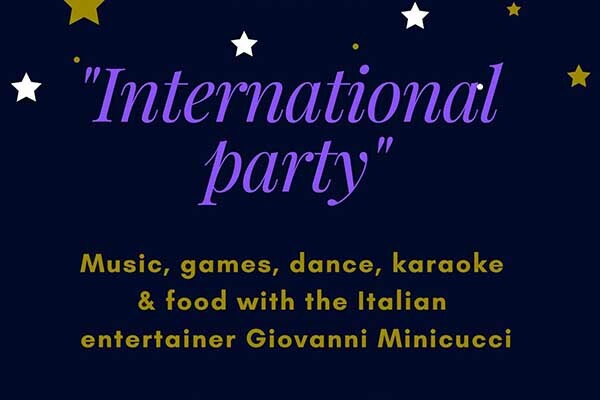 The night will be hosted by our very own Italian entertainer, Giovanni Minicucci, known from the Italian Dancing With The Stars.